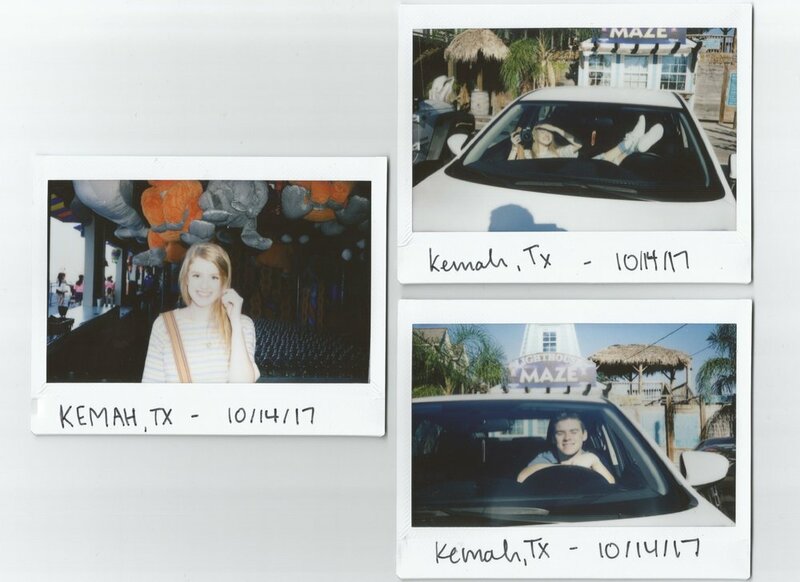 i had a senior session in kemah at 5pm but accidentally got there an hour early. nathan and i had some time to kill (i brought him along as my assistant) so we decided to have fun with my new polaroid! the pictures looked really cute once they developed. the outfit photos of me were taken in celebration of 5 years of BANGS shoes (the super cool hightops i'm wearing) i've been friends with hannah and molly davis since early 2015 when they first asked me to work with the company. they're the most kindhearted women and i am so happy to be supporting such an awesome brand!! look into their story through the website i linked above ^ very, very inspiring. anyways, this was a pretty fun day and i'm glad i chose a comfy outfit since we were shooting in direct sunlight almost the entire time!